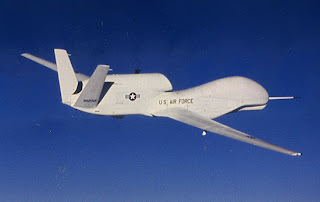 In early December reports that a secret U.S. surveillance drone crashed in Iran. The RQ-170 Sentinel drone is the most hard-to-detect drone in the U.S. military arsenal. The Iranian government has the drone and has shown no indication that it will be returning it to the United States. There are concerns that the technology stored in the drone will be copied and replicated by Iran and China. U.S. Officials have announced that the drone crashed because of a yet to be determined malfunction. CAMBRIDGE, Mass. 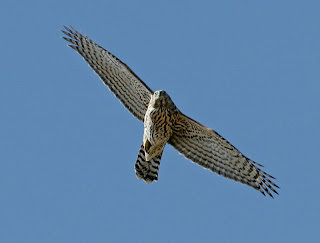 -- The northern goshawk is one of nature’s diehard thrill-seekers. The formidable raptor preys on birds and small mammals, speeding through tree canopies and underbrush to catch its quarry. With reflexes that rival a fighter pilot’s, the goshawk zips through a forest at high speeds, constantly adjusting its flight path to keep from colliding with trees and other obstacles. While speed is a goshawk’s greatest asset, researchers at MIT say the bird must observe a theoretical speed limit if it wants to avoid a crash. The researchers found that, given a certain density of obstacles, there exists a speed below which a bird — and any other flying object — has a fair chance of flying collision-free. Any faster, and a bird or aircraft is sure to smack into something, no matter how much information it has about its environment. A paper detailing the results has been accepted to the IEEE Conference on Robotics and Automation. These findings may not be news to the avian world, but Emilio Frazzoli, an associate professor of aeronautics and astronautics at MIT, says knowing how fast to fly can help engineers program unmanned aerial vehicles (UAVs) to fly at high speeds through cluttered environments such as forests and urban canyons. Frazzoli is part of an interdisciplinary team that includes biologists at Harvard University, who are observing flying behaviors in goshawks and other birds, and roboticists at MIT, who are engineering birdlike UAVs. With Frazzoli’s mathematical contributions, the team hopes to build fast, agile UAVs that can move through cluttered environments — much like a goshawk streaking through the forest. 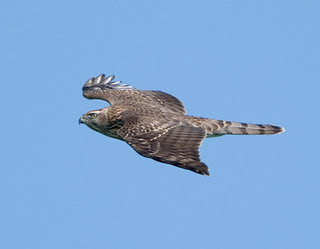 If the northern goshawk flew at speeds purely based on what it could immediately see, Frazzoli conjectures that the bird would not fly as fast. Instead, the goshawk likely gauges the density of trees, and speeds past obstacles, knowing intuitively that, given a certain forest density, it can always find an opening through the trees. Frazzoli points out that a similar intuition exists in downhill skiing. Frazzoli says that in a way, robots may be programmed with this same speedy intuition. Given some general information about the density of obstacles in a given environment, a robot could conceivably determine the maximum speed below at it can safely fly. Toward this end, Frazzoli and PhD student Sertac Karaman developed mathematical models of various forest densities, calculating the maximum speed possible in each obstacle-filled environment. The researchers first drew up a differential equation to represent the position of a bird in a given location at a given speed. They then worked out what’s called an ergodic model representing a statistical distribution of trees in the forest — similar to those commonly used by ecologists to characterize the density of a forest. In an ergodic forest, while the size, shape and spacing of individual trees may vary, their distribution in any given area is the same as any other area. Such models are thought to be a fair representation of most forests in the world. Frazzoli and Karaman adjusted the model to represent varying densities of trees, and calculated the probability that a bird would collide with a tree while flying at a certain speed. The team found that, for any given forest density, there exists a critical speed above which there is no “infinite collision-free trajectory.” In other words, the bird is sure to crash. Below this speed, a bird has a good chance of flying without incident. “If I fly slower than that critical speed, then there is a fair possibility that I will actually be able to fly forever, always avoiding the trees,” Frazzoli says. The team’s work establishes a theoretical speed limit for any given obstacle-filled environment. For UAVs, this means that no matter how good robots get at sensing and reacting to their environments, there will always be a maximum speed they will need to observe to ensure survival. In the coming months, Frazzoli also wants to see how close humans can come to such theoretical speed limits. He and his students are developing a first-person flying game to test how well people can navigate through a simulated forest at high speeds.